Raising money for great causes. LGIM is the investment management arm of Legal & General Group, a FTSE 100 company and is 1 of Europe’s largest institutional asset managers and a global investor. Today, LGIM is one of the world’s leading providers of index fund management and a major investor in global fixed income markets. Ozkan Koyun is founding member and president of Cass Class Gift. 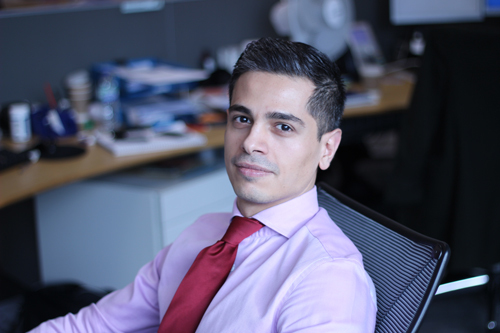 Ozkan was part of the team which started Cass Class Gift and feels it is a great cause, allowing current students to help other prospective students that cannot fund all of the costs of their studies. He felt that he was part of something unique in the UK - which no other business school was doing. It also gave him the opportunity to give back to Cass, a prestigious institution which accepted him, and for which he will always be extremely grateful. Find out where a Cass course at City could take you.